I have been contacted by Wendy who still lives in Essex close to where she used to live when she was with The Tiller Girls in the late 1950’s. 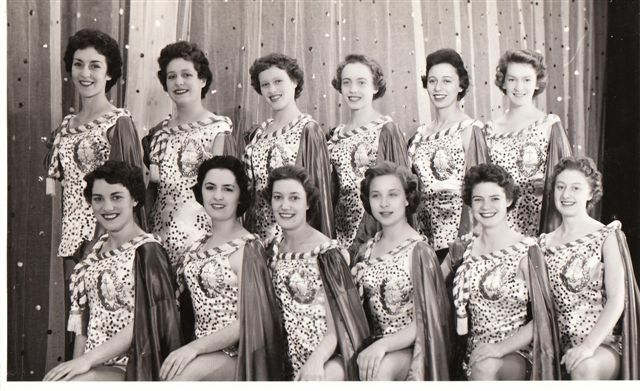 Wendy has sent some lovely photos of her and the girls she used to dance with. I have asked Wendy for some more information that I hope to be able to add very soon. 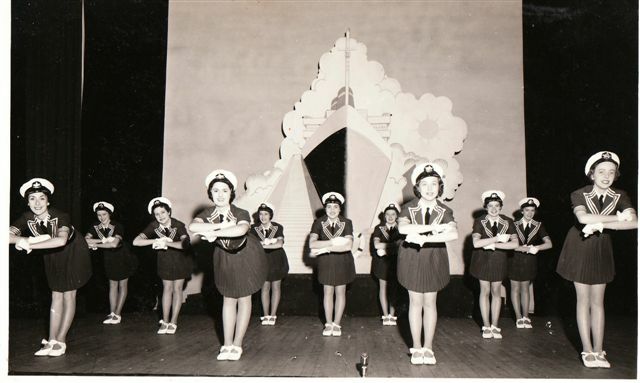 This photo from 1956/1957 show Wendy front right. Wendy notes, in the photo where we were in the sailor suits there were only eleven of us. One of the girls was sent home because her boyfriend went to her digs and caused a rumpus. We survived with eleven for a while when another girl had an accident and was duly also sent home. Lyn, Wendy ,Sheila, Lynn, Pat, Penny, Anita, Mo (Maureen), Sandra, Vera, Vivian, & Pauline.